7 days p/w, from 8:00 to 22:00 pm! Don't forget to add one of these products to your booking! 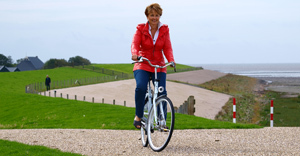 Cycle along the coastline and/or on the islands. Sportive Biking: sensational cycling holidays! 7-day Eleven Towns package including breakfast and dinner, luggage service and breakdown service. 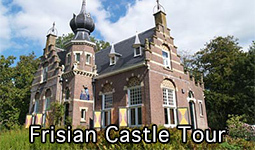 WOLVEGA (NL) - The Friesland Holland tourist office is now offering a very special cycling trip lasting several days which takes you past the cultural and historical highlights of Friesland. It is called: Tour de Frise. It starts where the Romans stopped - at the major rivers that cross through the Netherlands. 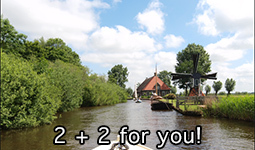 From there you will have the chance to explore the lowest-lying and most picturesque part of the Netherlands. In order to avoid any major risks the Romans entered into friendly commercial relationships with the Frisians who, since time immemorial, have always been experts in international trade and shipping. 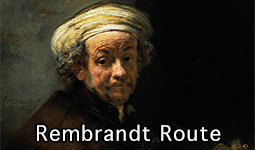 These are two of the many themes of your journey through the 5,000 year old cultural landscape. These days the trip is a completely Friesland Experience. 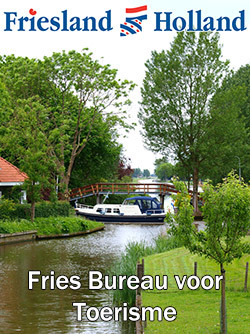 Anyone who books this specially put together 10 day trip will not only experience UNESCO world heritage locations, but also less well-known, hidden treasures the province of Fryslân (Friesland) has to offer. You will cycle through typical Frisian landscapes, past lakes and the sea, and through nostalgic towns and villages with their marvellous little shops. You will find out about how Friesland came into being, from the time that the characteristic knolls [terpen] were constructed, 3,000 years before Christ, until the turf digging period of the 20th century. Centuries-old monuments, including the smallest castles and churches of Europe, will all open their doors to you. 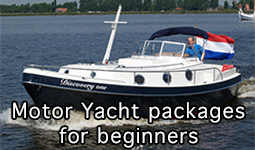 You will also find out how the famous Frisian flat-bottomed boats [skûtsjes] were built, and learn about dairy farming and Frisian dairy products which, these days, are marketed all over the world. Frisians are proud of their identity as hard-working bargemen and farmers, and as makers of world famous traditional and industrial products. They keep their own language alive, partly in the form of fun traditions for visitors, such as village parties and historic ship sailing competitions. Another excellent Frisian habit is to greet people they meet, whether on the water or cycle paths. This is their way of showing that you are a welcome guest. “Enjoy all the good things that we have preserved for you and for ourselves!” You will be served Frisian cuisine and local produce in the restaurants of the hotels where you will spend the night. 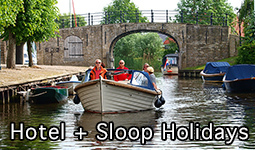 The lodgings have been specially selected for this trip so that, day in day out, you can fully enjoy the atmosphere of times gone by and the splendour of Friesland. 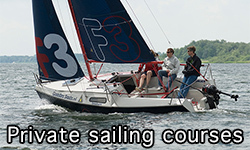 Friesland Holland offers exclusive holiday packages which have been developed and tested by the organisation itself. The packages are unique and include lots of services. © 2019 | Friesland Holland Travel. All Rights Reserved.